Andrea Conti is undergoing his AC Milan medical on Friday ahead of becoming the club’s seventh summer signing, while a renewal is expected for Gianluigi Donnarumma. The 23-year-old was a crucial figure for Atalanta last season as they qualified for the Europa League, but he has long been linked with a switch to the San Siro and is now on the verge of completing his dream move. As seen in the video above, Conti arrived at Milanello to complete his medical after undergoing initial tests on Thursday, and he’s expected to be unveiled on Friday afternoon. All being well, he’ll become the seventh summer addition to Vincenzo Montella’s squad, following Mateo Musacchio, Franck Kessie, Ricardo Rodriguez, Andre Silva, Fabio Borini and Hakan Calhanoglu to the club. It’s been a hugely impressive transfer window for the Rossoneri, and Conti may well be the most important addition yet as he will likely solve the right-back situation for years to come, provided that he can prove last year wasn’t just a one off with eight goals and five assists in Serie A aside from his quality defensive play. 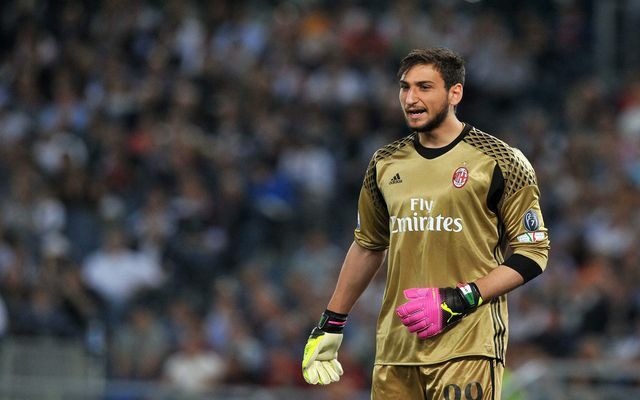 Meanwhile, as reported by La Gazzetta dello Sport, Donnarumma will sign a contract renewal by the end of the week after initially rejecting the club’s offer. The 18-year-old sparked an angry backlash from supporters for that initial decision, but he has seemingly performed a U-turn and will now put pen to paper on a four-year deal worth €6m-a-season, making it the most lucrative deal for an 18-year-old ever. Further, it’s reported that a release clause between €75-80m will be included in the contract, as it comes after it had been suggested that it would depend on Champions League qualification. Given the way the situation has played out over the last few weeks, it remains to be seen whether or not supporters forgive Donnarumma. While they’ll be pleased to see the saga come to an end, he may well have done severe damage to his relationship with them throughout this entire matter along with agent Mino Raiola.